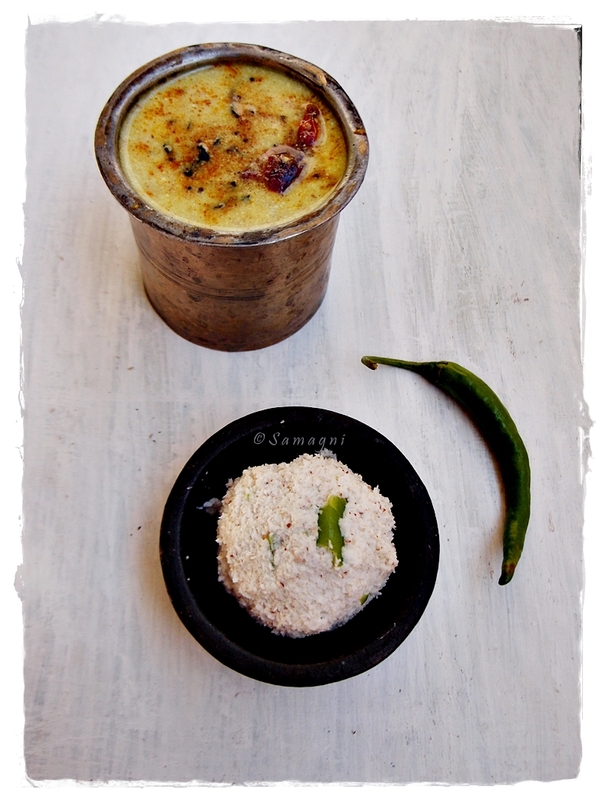 Chammanthi (not to be confused with the types of usual chutneys served with dosa and idli) is a Kerala-style thick chutney that makes a good accompaniment with rice or with kanji (rice gruel). Unlike dosa chutneys that are smooth and liquidy, chammanthis are coarsely ground. Nutmeg – a spice with a pleasant aroma and a wonderful flavor – is used in this chammanthi and makes it a subtle flavored chutney with a wonderful aroma and a light tangy tone. 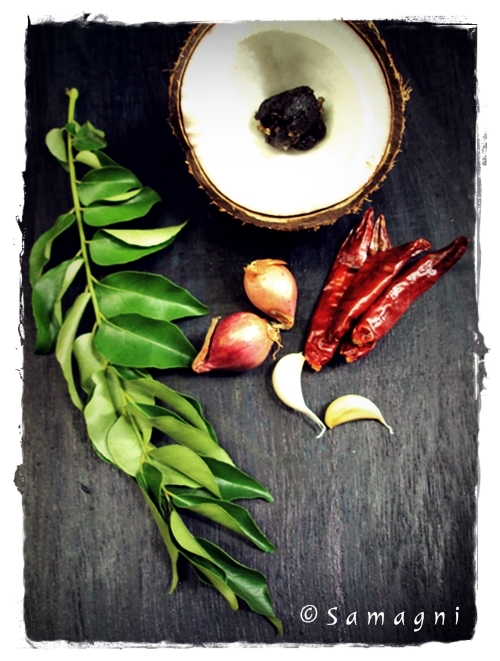 Here are some other chammanthi varieties that I have posted earlier – Roasted coconut chammanthi and chammanthi podi. Wash and peel the outer skin of the nutmeg. Cut into two pieces and remove the seed which would be encased in a mace-like structure. Cut the nutmeg into smaller chunky pieces. Use a mixer or a stone grinder to grind along all the ingredients together to make a coarse paste. Serve with rice. You may avoid shallot and just use nutmeg, coconut, and green chilies. You could use bird’s eye chili (Kanthari variety of chili) and it would enhance the flavor of the chammanthi. You may add a small piece of ginger or garlic. I prefer the dominant raw nutmeg taste and hence do not prefer adding these.